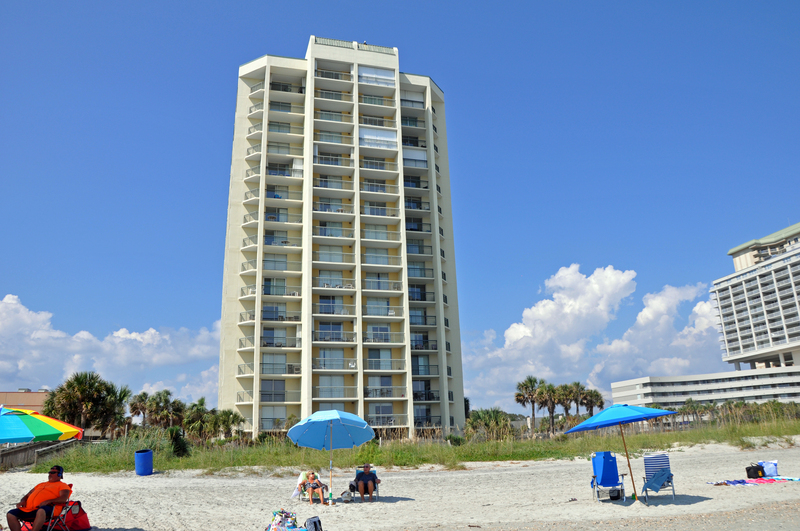 Carolina Resorts Realty and Vacations has welcomed families and golfers to North Myrtle Beach since the 60's, offering a select group of private beach cottages, duplexes and oceanfront condominiums for sale and for rent. Families have netted crabs from the docks on our channel homes, fished for shrimp and flounder from the salt marsh, frolicked on our beaches and sat upon oceanfront balconies watching sunrise and sunset. Each of our accommodations are just minutes from many fine restaurants catering to any appetite,over 100 challenging golf course, shopping the practical or the frivolous, miniature golf water parks and nighttime entertainment for all ages. Whether you desire a weekend escape, a week at the beach, a super golf package, or a respite from snow and cold in one of our monthly winter rentals we at Carolina Resorts Realty have the right property to fit you needs. We offer rental units in many of the newer condominium properties along the Grand Strand, some select Beach Homes and Villas and even offer a few rental units on some older oceanfront properties, that are well maintained and offer the person on a budget an opportunity to rent what is still a great unit at a price to fit that budget! In regards to our Vacation Rentals. We recognize that your vacation is one that has come with much planning and expense, and it is our goal to exceed your expectations as one of our rental guests. Our philosophy has been to provide better service and excellence in accommodations in order to please each of our customers so that each of those customers would in turn be a repeat guest and be so satisfied as to inform friends and family that they would in turn become loyal guests. In light of that mentality, we are selective in adding units to our rental inventory. We have always gauged units by the measure of would we stay in that unit and be happy with the accommodations. If the answer was yes, we in turn would add that accommodations to our rental inventory. We foremost appreciate the opportunity to be accommodating to you, and understand that your vacation is something special something that you have worked hard to provide yourself and your family. We also strive to make sure we understand exactly what you are looking to book and that the accommodation is just what we described to you when we booked the accommodation for you. In fact we want to provide you with a memorable vacation experience this year and the next and the next. In regards to the purchase of residential homes and condos along the Grand Strand we are also as diligent to work with our real estate clients, providing blunt honesty, and a locals knowlege of the Grand Strand, and it's properties for sale, including foreclosures, bank owned properties, income producing properties, and all of your residential needs especially oceanfront!, So take your time and browse our featured listing page, and our MLS pages and call us today to plan your next real estate purchase in this fantastic place. I'd like to say to you that we would love to accommodate you in one of our accommodations and or find you just the right property to call your own here at the beach and truly hope to see you at the "Beach". Call us now for our Fall Specials!